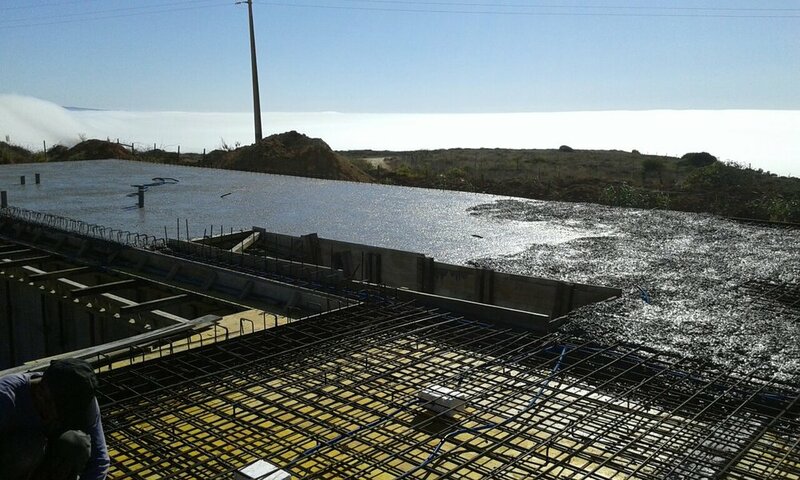 Currently under construction in Ericeira, this house seats on top of two natural waves of the terrain. The lower lever, close to the swimming pool, is an open air living room. The top level of the house has stunning sea views.